As complicated as some make it, the bail bond process is pretty simple. Someone gets arrested and put in jail. A judge then sets their bail, which is the money the defendant must pay if they want to be released before their court date. The defendant gets their money back as long as they show up in court when they’re supposed to, and forfeit if they don’t. 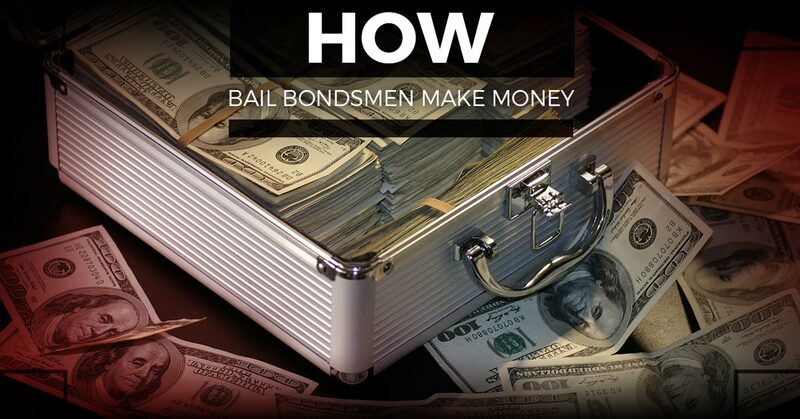 One question folks have though is how their local bail bondsman makes money. In this blog post, we will dive deeper into that. The majority of defendants don’t have thousands of dollars available to spend. That’s where a bail bondsman comes into the equation. In New York, specifically, many bail bond agencies charge a free, with the rates set by state law. They are 10 percent of the first $3,000, eight percent of the next $7,000, and six percent of anything above that. So for a $15,000 bail, that works out to about $1,100. However, it’s not just the fee that the defendant has to put up if they want the help of a bail bonds service. Let’s say that the defendant decides to flee the state and miss their court appearance. Now the bail bondsman is stuck paying that chunk of change. That’s why more bail bonds services are requiring clients to fork out collateral as well. In our most recent blog post, we explained how bail bond collateral works. Remember that a deed to a home or vacant land, certificates of deposit, 401K accounts, stock options, and passbooks for savings account all qualify as collateral. A smart bondsman will also have at least one person (known as the indemnitor), sign a bond and agree to cover any losses. The bigger the risk, the more collateral an agency seeks. Should the defendant disappear, a bondsman has the right to go to civil court and get the money from the family that way. Another option is that the agent can turn to a licensed private investigator to find the fugitive. Only in rare cases will a bail bondsman go so far as to hire a bounty hunter to find the defendant. At ABC Bail Bonds, our customer service sets us apart from the rest. We are a third generation business with more than 50 years of experience, so it’s safe to say that we know a thing or two about the industry. The sad reality is that many bail bondsmen today don’t even give their clients the time of day. That leaves defendants and their families at the mercy of a bail bonds service. We understand how difficult it is to bail a loved one out of jail. That’s why we go the extra mile in ensuring your experience with us is smooth and hassle-free. Whether it’s walking you through the bail process or coming up with a customized payment plan, you can feel comfortable turning to us. ABC Bail Bonds specializes in domestic bail bonds, DUI bail bonds, and other emergency bail bonds. Call now for 24/7 bail bonds in NYC and New Jersey.